While Julian Assange remains in the Ecuadorean Embassy in London, Paddy Power has opened up some related betting markets. You can get odds of 6/1 that Assange will leave the Embassy via diplomatic bag; however, if you think the UK police will win out, the odds on him leaving in a police car are 11/8. You can also bet on the duration of his stay there and who will play him in a Wikileaks film. In the meantime WikiLeaks appears to have lost the support of hacktivist group Anonymous since they placed a large banner on the site asking for donations. Since the commotion caused by Assange’s leaks, Anonymous has regularly stepped into help him, wither by carrying out cyber-attacks on WikiLeaks’ opponents or through supplying WikiLeaks with stolen electronic documents. 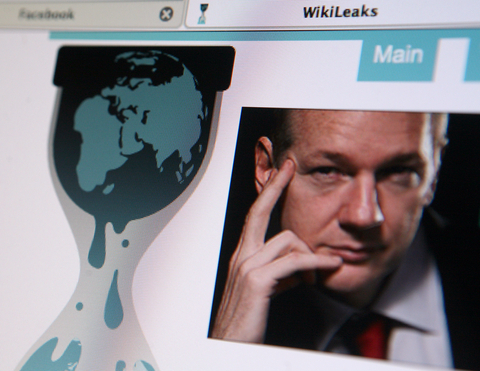 However, after the banner appeared on the website, an Anonymous-linked Twitter account posted a statement saying “This, dear friends will lose you all allies you still had,” Another account released a statement saying that “in the recent month the focus moved away from actual leaks and the fight for freedom of information. While it concentrated more and more on Julian Assange”.